Gov. David Ige announced two of the boldest initiatives of his administration Tuesday by proposing to restructure as much as half of the state’s public elementary schools to accommodate state-funded preschools, and to lease out state lands for condominium developments. Star-Advertiser. Governor's State of the State: Pre-K, Condos on State Land and TAT Back to Counties. Hawaii Public Radio. Ige: ‘The Future Is Personal.' Hawaii’s governor calls for a statewide preschool system and more hotel tax revenue for the counties. Civil Beat. Gov. David Ige laid out Tuesday what he called a road map for creating universal public preschool in Hawaii throughout several decades. The second-term governor introduced his idea during his State of the State address at the Capitol. Associated Press. In his fifth State of the State address Tuesday, Gov. David Ige outlined an ambitious agenda for his second term, pledging to dramatically expand the state-funded preschool program, increase the inventory of affordable housing and bring the minimum wage in the islands “closer to a living wage.” Hawaii News Now. 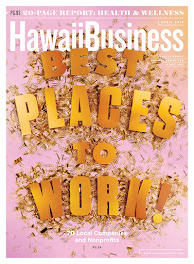 Hawaii's minimum wage boosted to $15 an hour and our public schools restructured! Those are some of the key proposals from Governor David Ige's 5th State of the State address. KHON2. About half of elementary schools in Hawaii still have sixth grade classrooms. The governor is proposing to change that as part of a bid to significantly bolster preschool offerings in the islands. Hawaii News Now. DOE on board with Ige's public Pre-K plan. During Tuesday's State of the State address, Governor Ige proposed restructuring Hawaii's public schools, including implementing access to public per-kindergarten. KITV. Full text of Gov. David Ige's 2019 State of the State address here. Hear Governor Ige's Full 2019 State of State Address. 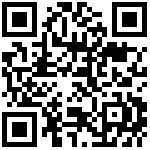 Audio link. Hawaii Public Radio. Hawaii Energy Office — And Other Programs — May Face The Budget Ax. Money for several programs will be eliminated from a current House budget bill as lawmakers press the fiscal reset button and ask agencies to justify their funding. Civil Beat. You’ve heard a lot about a ‘living wage.’ Here’s what that actually means in Hawaii. Hawaii News Now. New proposal seeks to increase punishments for drunk drivers. Representative Chris Lee is proposing harsher punishments for people convicted with Driving Under the Influence (DUI) or who have had their licenses revoked by the Administrative Driver's License Revocation Office for drunk driving. KHON2. More than a dozen proposed laws relating to marijuana or cannabis products were or will be introduced in the state House and Senate, ranging from a proposed expansion of the conditions legally treatable by medical cannabis to a total decriminalization of cannabis for personal recreational use. Tribune-Herald. A legislative package consisting of a total of 10 bills and one resolution in each chamber has been introduced by the Women’s Legislative Caucus to address a series of issues facing women in Hawaii. Maui News. The first night of the annual Point in Time Count, a nationwide homeless census that will determine whether Hawaii continues to lead the country with the highest per capita rate of homelessness, began Tuesday night. Star-Advertiser. An army of volunteers hit the streets across the state Tuesday night to take part in a statewide count of Hawaii’s homeless population. Hawaii News Now. New questions about natural disasters, domestic violence on Point in Time Count Survey. Volunteers take to the streets to count Hawaii's homeless in the the annual Point in Time Count. KITV. Food stamp program’s funding is in doubt. Most of the 160,000 Hawaii residents dependent on government food stamps received benefits Sunday to last them until March. Star-Advertiser. Bail Reform Could Get Serious Consideration From Legislature. A task force proposed reducing the number of pretrial inmates who remain incarcerated because they can’t afford the bail amount. Civil Beat. The government shutdown creating public safety concerns at the Pacific Tsunami Warning Center. KHON2. Hawaii hotel occupancy fell slightly in 2018, but revenue continued to climb as higher room rates made up for the fewer filled rooms. Star-Advertiser. Hawaii is the worst state in the nation to drive in, according to a study released today by personal finance website, WalletHub. Star-Advertiser. Planning Committee holds up vacation rental bills. Action on seven bills establishing rules for bed-and-breakfast and transient vacation units were postponed Tuesday by the City Council Planning Committee after more than 2-1/2 hours of testimony. Star-Advertiser. City Council debates fate of Oahu's short term rentals. The Honolulu City Planning Committee heard seven bills that would drastically change the fees, fines and enforcement of thousands of Oahu's short rental housing units. KITV. 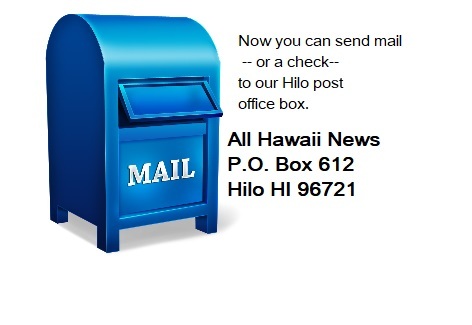 A better Kalihi; Governor David Ige briefly mentions this in Tuesday's state of the state address. Ige wants to revitalize the neighborhood, and the first step would be to move the jail. KHON2. An aging east Honolulu marine loading dock that’s integral to several commercial boating operations has collapsed. Hawaii News Now. Scientists Surprised To Find Endangered Seabirds On Oahu. The critically endangered Newell’s shearwater and Hawaiian petrel were thought to be living almost exclusively on Kauai. Civil Beat. A medical office building is expected to rise near a senior-living complex in Kapolei. Star-Advertiser. Lower federal taxes help Territorial double earnings. Star-Advertiser. ‘Dog’ and Beth Chapman closing Da Kine Bail Bonds. Star-Advertiser. Vacation rental rules to be unveiled soon. West Hawaii Today. Waikapuna Top Open Space Priority For 2018. Big Island Video News. County nixes purchase of parcels inundated by lava during 2018 eruption. Tribune-Herald. South Kona farmers grow wise to little fire ants. West Hawaii Today. The former Safeway space at Prince Kuhio Plaza in Hilo soon will have a new tenant. A lease was signed with Tractor Supply Co., confirmed mall management this week. Tribune-Herald. Altres is offering temporary jobs to furloughed workers. Same-day pay option available for people impacted by federal shutdown. Maui News. VA meeting scheduled on Thursday. Maui News. The Garden Island asked Kauai’s legislators for their reactions to Gov. 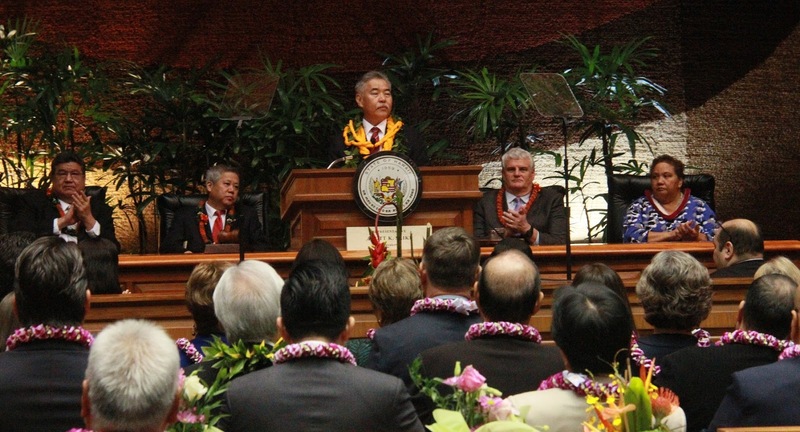 David Ige’s State of the State address on Tuesday. Garden Island. Families impacted by the longest government shutdown in U.S. history are able to get food packages on Thursdays for a month starting Thursday through Feb. 21. Garden Island.